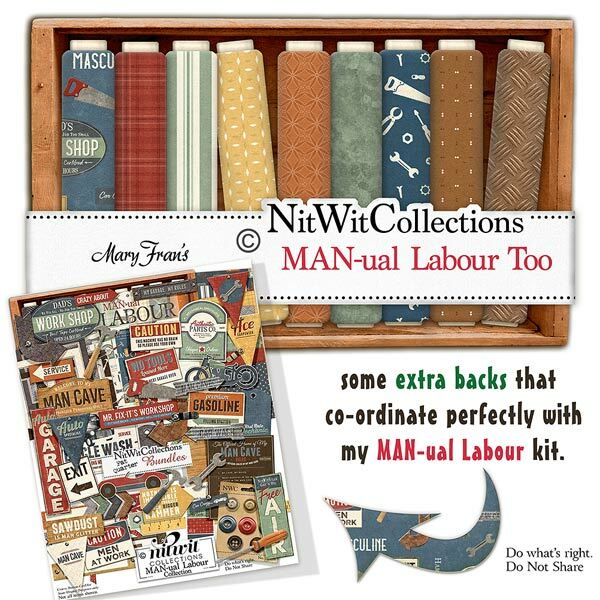 "MAN-ual Labour" Too additional background paper pack let's you choose from even more parts to craft your perfect scrapbook layout, mini album or card. See your creative vision come together with these additional papers! These background papers are NOT included in the FQB "MAN-ual Labour" Collection! 19 Digital background papers that coordinate and colour match my FQB "MAN-ual Labour" Collection.